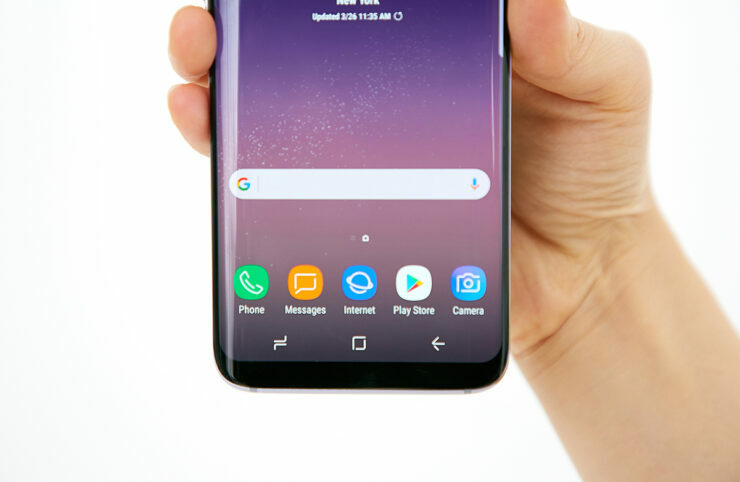 Smartphone users that carry around more than two numbers at the same time and wanting to upgrade to the new Galaxy S8+ will be pleased to hear that the dual-SIM version of the 6.2-inch flagship is available in the U.S. Featuring a different chipset than the one present in the regular Galaxy S8+ models, users will no longer have to worry about carrying two phones at the same time. The model name of the Galaxy S8+ that comes with two SIM card slots is SM-G955FD along with 64GB of onboard storage. A tiny but very important detail that needs to be mentioned here is that the dual-SIM card slots are not hybrid slots, meaning you can add two SIM cards coupled with a microSD card for maximum expansion and convenience. Unfortunately, the only two color models available are Black and Gold. Luckily, the seller on eBay has a 99.4 percent positive feedback so it is not like you will be shipped a faulty flagship smartphone as soon as you remove it from its packaging. There are other details mentioned at the bottom of the seller’s page and we feel that you should pay heed to these details. These phones are Americas Region Locked. (Compatible with USA, North America, South and Central Americas). To use it outside those areas you can remove the region locking by first placing (again, or receiving) a five-minute call within one of those territories. This Galaxy S8+ variant comes with an Exynos 8895 chipset and a Snapdragon 835 one. In terms of performance differences, the only time where you will actually see this is in between synthetic benchmarking runs otherwise both of these mobile chipsets are the embodiment of rapid smartphone hardware improvements. The price of the dual-SIM Galaxy S8+ is $804.99 and if you’re interested in making a purchase, you can visit the source link below to get started.